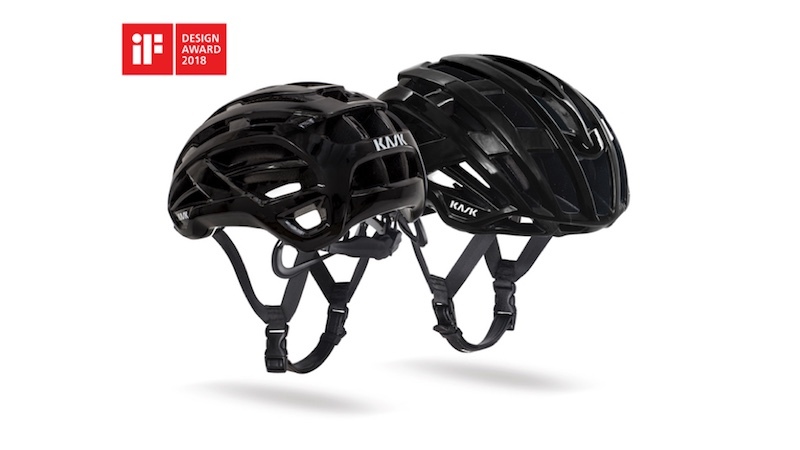 Italian accessories specialist KASK has announced that its VALEGRO road helmet has won a prestigious iF Design Award, a world-renowned design prize. The VALEGRO won in the ‘Product’ discipline in the ‘Sports/Outdoor/Bicycles’ category in which there were 71 competing products. KASK’s helmet won over the 63-member jury, made up of independent experts from all over the world, with its design and functionality. The competition was high, with over 6,400 entries submitted from 54 countries, all in the hope of receiving an award. The profile of VALEGRO’s polycarbonate shell was tested and refined by KASK’s engineers in conjunction with a wind-tunnel to get the best results in terms of thermo-cooling performance. The VALEGRO offers advanced ventilation and an impressive weight of just 180g (size small). This new design offers maximum cooling through 37 ventilation holes with new breathable and quick-dry padding. The 5mm layer of fast-wicking thermoformed tri-dimensional padding is antistatic, bacteriostatic, heat regulating and moisture transferring using Resistex Carbon. Alongside this, KASK adds that the chin pad with eco-leather strap contributes to a helmet that’s comfortable to wear, all day.